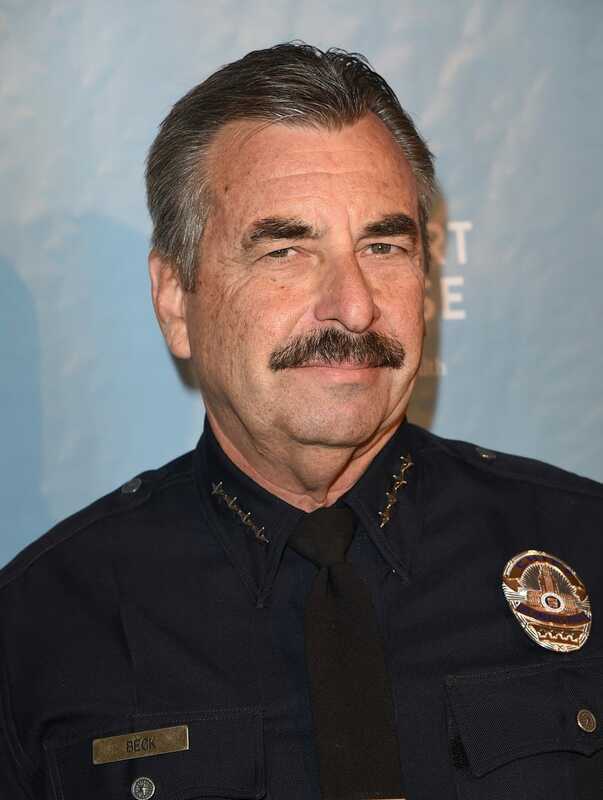 Los Angeles Police Chief Charlie Beck announced Monday that the city's Police Department will not change its stance on immigration enforcement even as President-elect Donald Trump has promised to be tougher on immigration and deport criminal immigrants, the Los Angeles Times reports. A special order instituted by former LAPD Chief Daryl Gates in 1979 prohibits officers from initiating contact with someone solely to determine immigration status, and under Beck’s tenure, the department has stopped turning over people arrested for low-level crimes to federal agents for deportation. The department has also moved away from detaining inmates who may be deportable past their jail terms. Beck said Monday that he planned on maintaining the long-standing separation. Trump campaigned on illegal immigration, and he promised to build a wall between the U.S. and Mexico. In the days since his election victory, fear of deportation has gripped many immigrants and their families. The Times reports that Los Angeles officials have tried to assuage fears and show support for the city’s immigrant population. On Friday, Mayor Eric Garcetti said at the Coalition for Humane Immigrant Rights of Los Angeles that the city would question Trump’s decisions on immigration. The Migration Policy Institute estimates that more than 1 million of the 11 million immigrants without legal status in the U.S. live in Los Angeles County. Garcetti echoed Beck’s comments that Special Order 40, the Gates-signed mandate that prohibits officers from initiating contact simply to determine immigration status, would be upheld. Capt. Jeff Scroggin, a spokesman for the Los Angeles County Sheriff’s Department, told the Times it was too soon to determine how sheriff’s officials would react to any changes required by the Trump administration, and noted that those changes could be tied to funding. Scroggin said that deputies will continue the long-standing practice of treating all residents the same, regardless of background. In the county jail system, the sheriff’s department has scaled back its cooperation with federal immigration agents, and since 2015, only inmates convicted of serious crimes including burglary, assault, sexual abuse and felony drunk driving have been referred to U.S. Immigration and Customs Enforcement. Beck said that LAPD values have not changed since the election.